Jacob Duran is a highly accomplished kirtan artist, musician, composer and astrologer. He has 20+ years of study in Sanskrit, Indian classical music, and Yoga philosophy. Nada Yoga (the yoga of sound vibration) has been his core spiritual path. 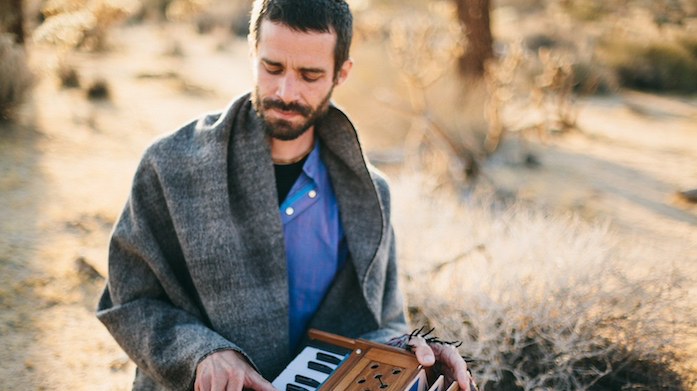 His presentations range from performing traditional Kirtan, to improvising mantras and sacred sound vibrations over ambient electronic music that he creates live. Jacob has had the honor of sharing his sonic gifts from festivals, to yoga class settings with prestigious yoga teachers throughout California, to spiritual workshops and retreats. He currently resides in the heart of Santa Barbara, California where he sings kirtan with the local community, offers private music lessons and astrology readings.